Dell's Latitude range is aimed at corporate users, with the Latitude E5400 providing a good mix of features and value for money. The 14.1-inch screen offers detailed and crisp images, and although colours could be slightly more vivid, it's also a bright panel. The matt-TFT finish is ideal for commuters, proving resistive to reflections and fingerprints when on the move. An integrated Intel GPU handles graphics, resulting in limited 3D performance. It's fine for office tasks, however, and the low power consumption results in a battery life of 384 minutes. The keyboard is among the best around, offering a truly excellent typing experience. The keys move with a reassuringly solid click and the soft-touch plastics used are comfortable for long periods of use. The keys are also large and well-shaped, making them easier to access when touch-typing at speed. The touchpad is complemented by a pointing stick in the centre of the keyboard, offering an alternate method of controlling onscreen actions. There's a separate set of mouse buttons for each. Build quality is good, even though this machine lacks the premium feel of some of its rivals. The chassis is tough and more than capable of withstanding daily use, although it is quite bulky and the 2.6kg weight is also surprisingly heavy. Processing power is provided by a high-end 2.53GHz Intel Core 2 Duo processor, although the 2048MB of memory results in marginally slower performance than you would expect. It's still a great system for multi-tasking and running other resource-intensive applications, however, with plenty of speed on offer. In keeping with its corporate aspirations, a host of ports are included that support older technologies, making it ideal for small business use. It's the only machine in the group to feature a PC card interface, and there is also an S-Video port along with a VGA-out port for connecting external displays or projectors. There's no support for HD displays, however. The 3G/HSDPA adapter isn't tied to a specific network provider, so you'll be able to get online by using a network and tariff that best suits your needs. When in range of wireless hotspots, 802.11n Wi-Fi also offers the fastest connection speeds currently possible, and Gigabit Ethernet offers an even quicker fixed connection. 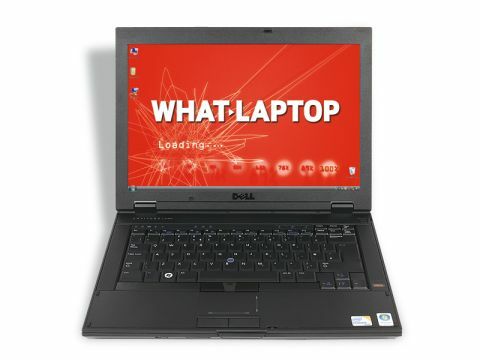 While the Dell Latitude E5400 may lack the portability of its rivals, if you're in the market for an affordable business machine with strong connectivity, then it's certainly well worth a look.